Articles below are available at our blog to be read in their entirety. These articles are from various sources. When available sources will be given credit where credit is due. If you have any articles of interest please submit them to us for review and posting. Please respect the copy writing of the materials below. We have a Daily Blog and would love you to visit and read some of the daily articles topics on Biblical Counseling or Young Adults in Crisis! 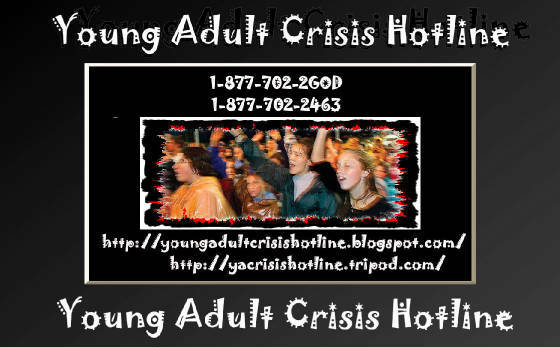 Please Click Here To Download Young Adult Crisis Hotline Christmas Journal! We have organized a 267 page WeBog Journal of all of our Posts for your Private study and research at home. Please respect the copyright laws and use this for your own personal edification.